Django is a Python Web framework that encourages rapid development of applications. 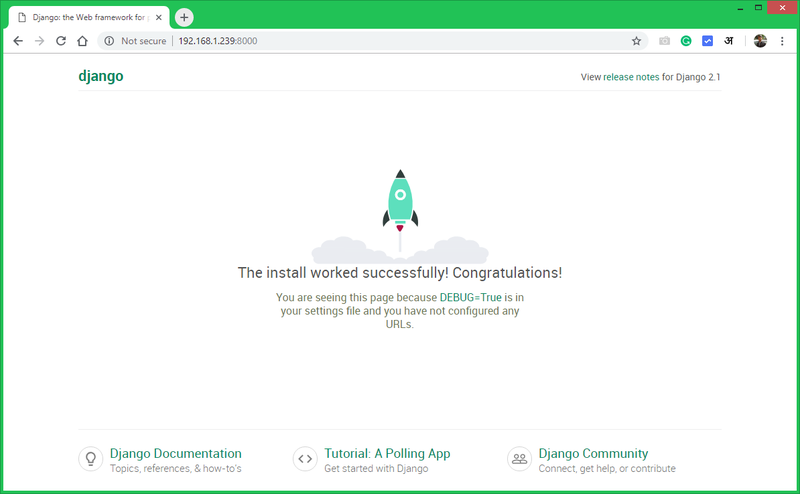 The Django framework is designed for developers to take applications from initial to completion as quickly as possible. It provides higher security for the application and avoids developers for making common security mistakes. Most of the latest operating systems come with default Python 3 installed. But if your system doesn’t have Python installed, Execute the below commands to install it. Also, install pip on your system. The django-admin command provides you option to create a new Django application via command line. First, navigate to the directory you need to create a new application. After that migrate the pending changes. 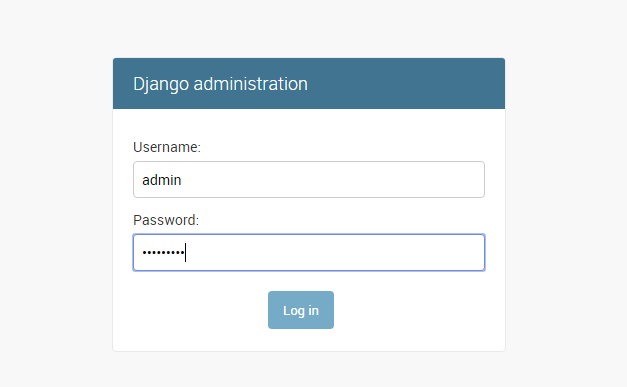 Also, create a superuser account for the administration of the Django application. Run the following command from your Django application directory. Your Django application is ready to use. By default, Django doesn’t allow external hosts to access the web interface. To allow external hosts, edit settings.py file and add IP under ALLOWED_HOSTS. Here 192.168.1.239 is the IP address of the system where Django is installed. Finally, run the Django application server with below command. Here 0.0.0.0:8000 defined that Django will listen on all interfaces on port 8000. You can change this port with any of your choices. Django application server is running now. Open your favorite web browser and access to Django system ip on port 8000. This will show you the default Django web page. 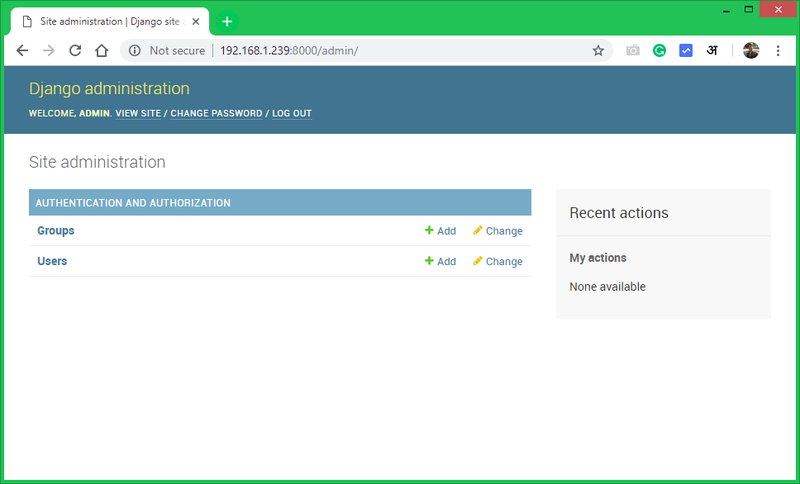 Django also provides an administrative web interface. You can access this at /admin subdirectory URL of your Django application. Use superuser login credentials created in the previous step. The Django admin dashboard looks like below. Here you can add more users and groups for your application.